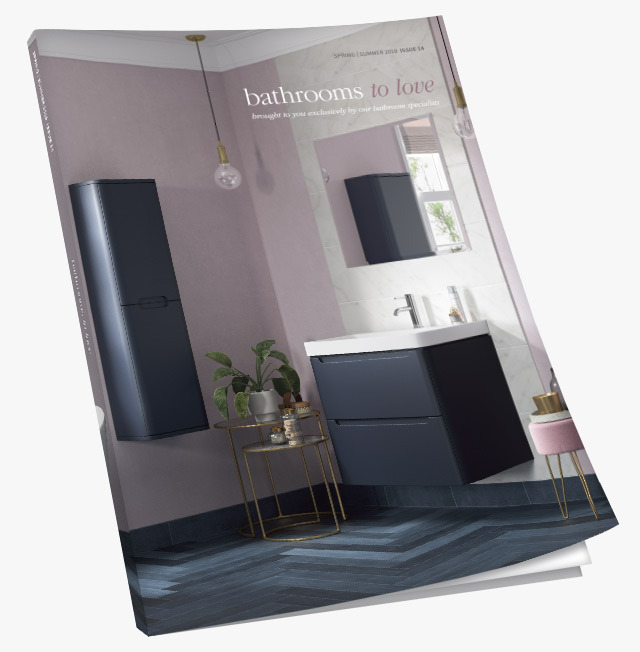 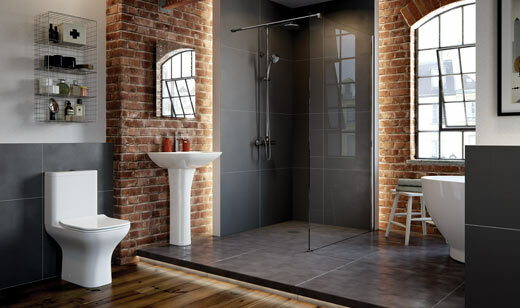 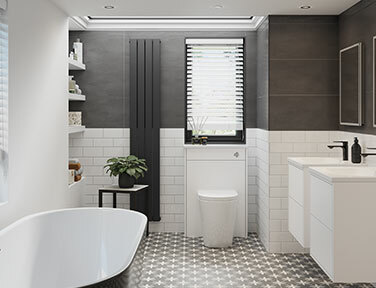 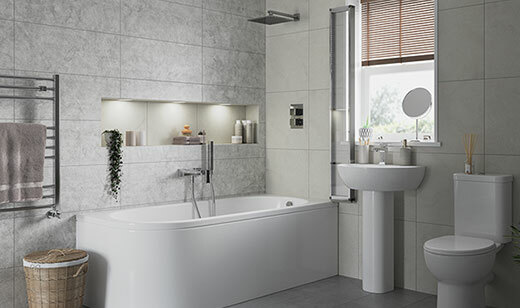 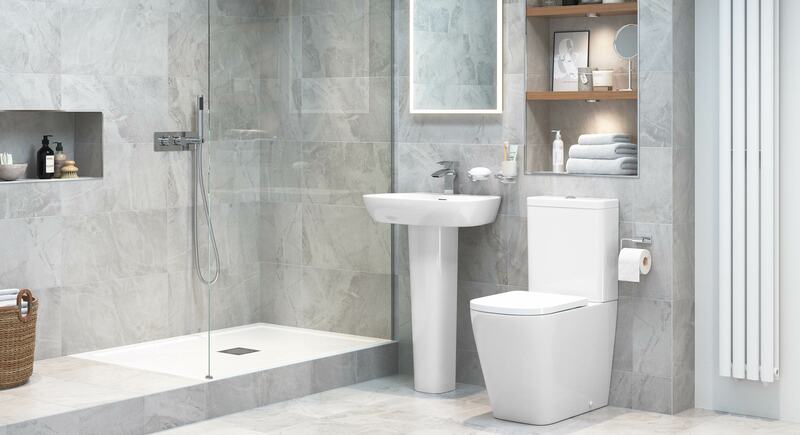 Tilia basin with full pedestal, Tilia close coupled rimless WC with soft close seat, RefleXion 8 wetroom panel, Lexi shower, Rima basin mixer, Galatea mirror and Cylindra radiator. 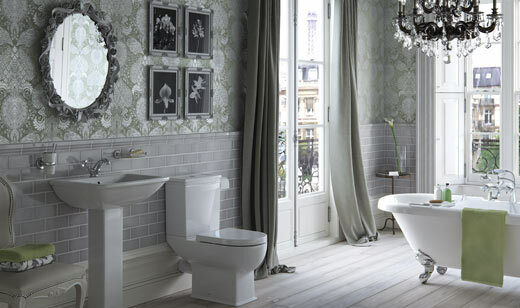 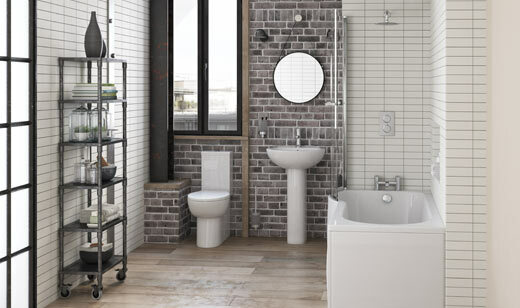 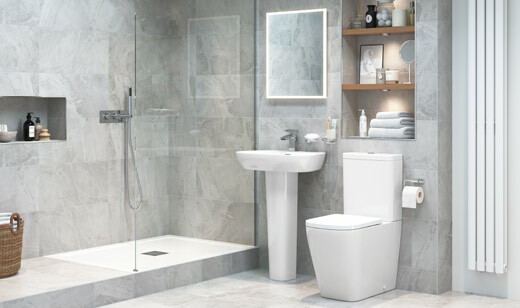 On-trend design, with a smooth finish to this stylish square suite. 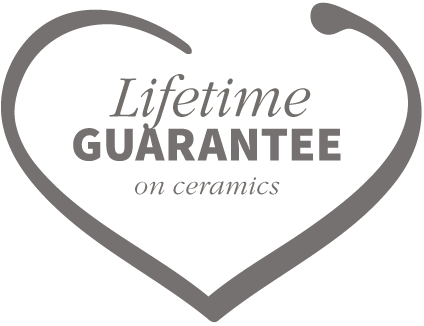 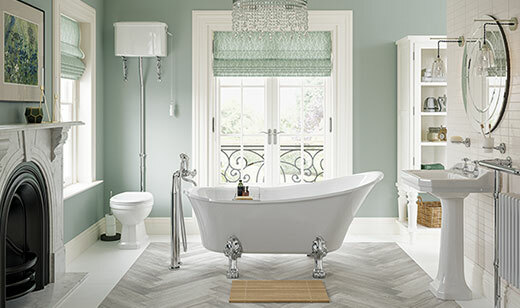 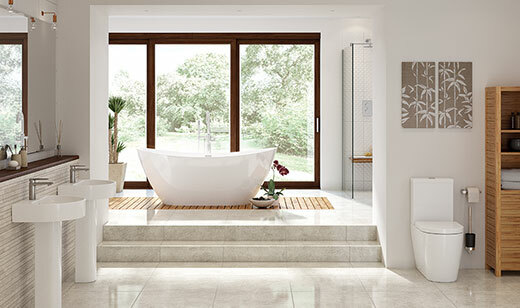 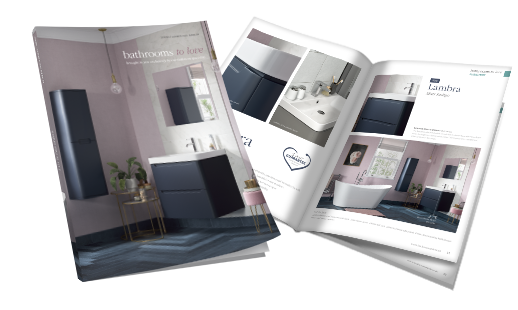 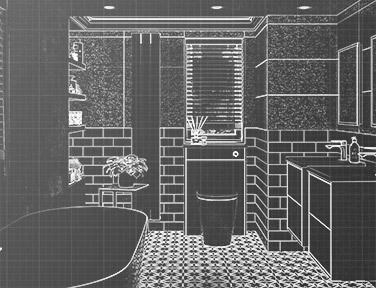 It’s fine design incorporating ultra thin edges complements any bathroom design. 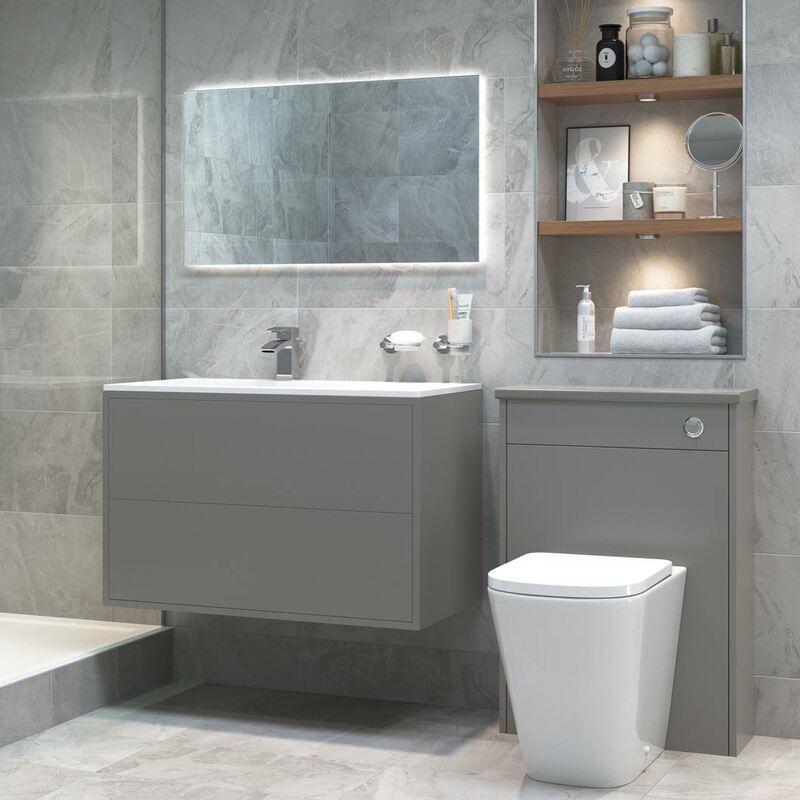 Tilia back to wall rimless WC with soft close seat, Perla furniture in Matt Grey,Rima basin mixer and Phoebe mirror.